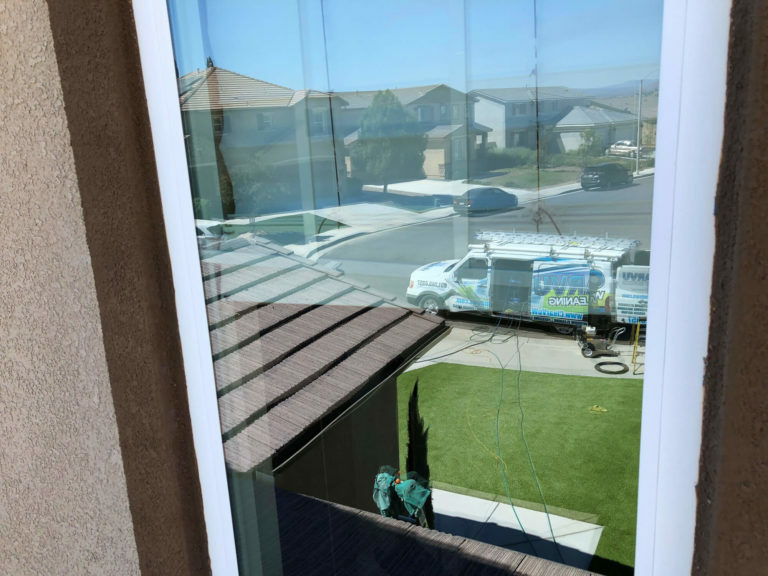 Some of our customers originally reach out to us having never used a professional window cleaning service in Temecula. Oh boy, the look on their face when we finish servicing their home is priceless! 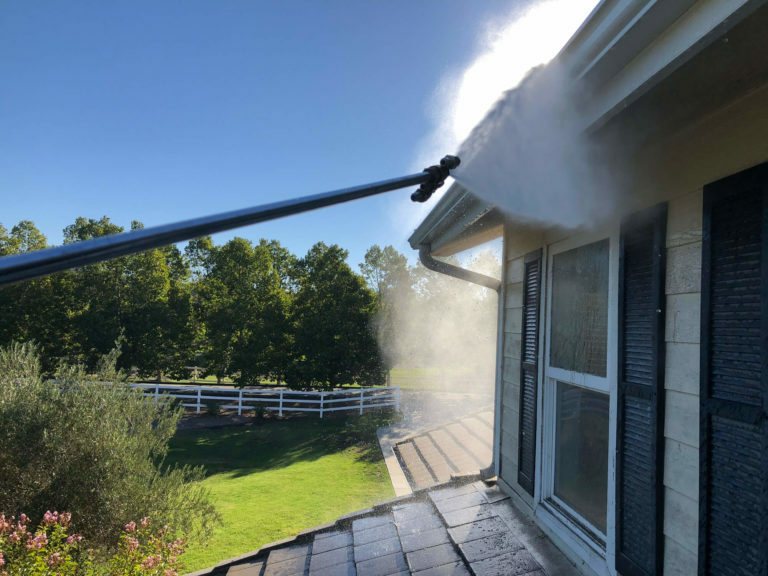 Having the windows cleaned in your home will surely let the sun shine in, lighten your mood, and take a big tedious task off of your to do list. We pride ourselves in offering the easiest solution to dirty windows possible, from start to finish. Fully insured, our window cleaners are experts in taking care of your home windows, screens, and window tracks. If you’ve never had your windows professional cleaned, now is the time to see what you’ve been missing out on. We turn customers who have never had their windows serviced, into repeat customers for years to come. Having trouble finding a reliable commercial window cleaning service to help take care of your business? First impressions can truly be everything. You don’t want your customer walking into your business with your windows and sills looking like a mess. We offer automatic service at a frequency of your choice, bringing peace of mind that your windows will stay sparkling clean. 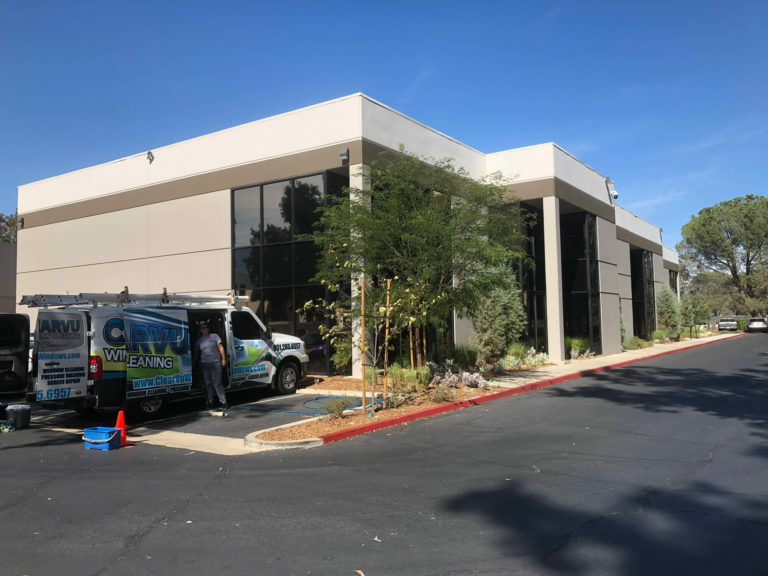 We have been helping our commercial clients maintain their property and welcome their own customers into a clean and pleasant environment. It’s important when hiring a commercial window cleaner to make sure they’re insured. We are fully insured, and all technicians covered by workers compensation. 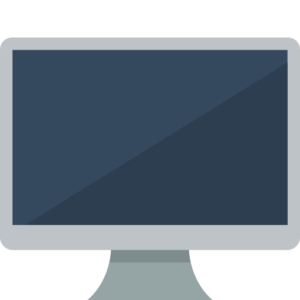 Our reviews speak about the kind of service we offer, but we would love to have the opportunity to show you why. 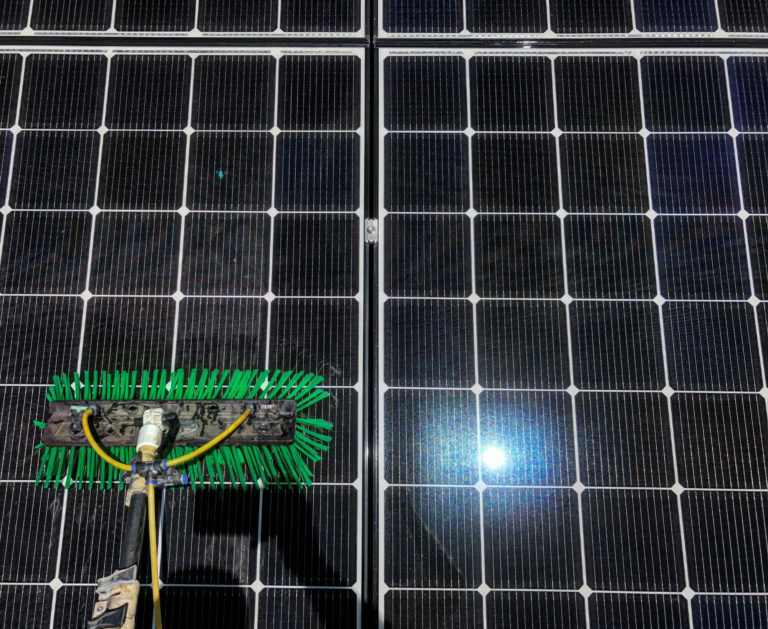 Cleaning solar panels correctly is important for not only the life of your investment, but also for the amount of energy you’re producing – money in your pocket! We use our vehicle mounted pure water purification system to remove all minerals and impurities in the water, paired along side a specialized brush to safely and effectively agitate and clean, delivering a spot free finish – the only method that should be used. No harsh chemicals that are seen being used by others, which is not recommended by your solar panel manufacturer, and in some cases voiding your warranty. We are fully insured, giving you the peace of mind others cannot when having a service provider on the roof of your home. 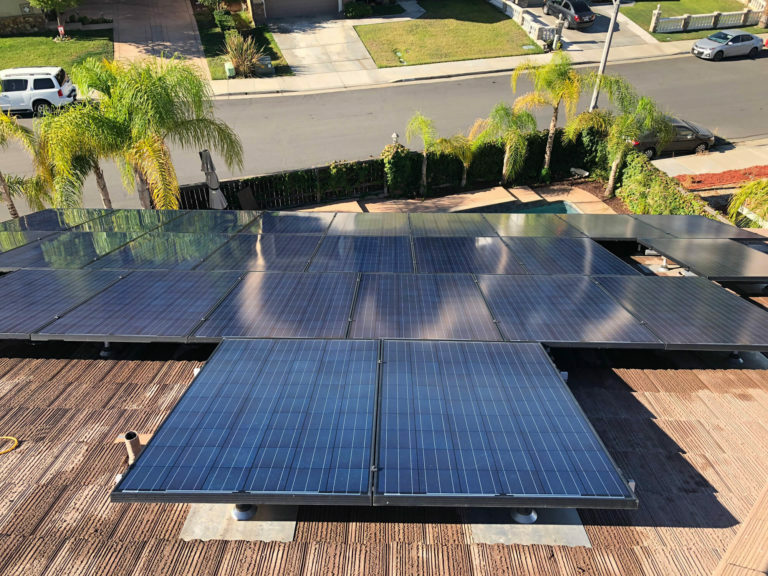 We have provided solar panel cleaning in Temecula for years, and it’s this experience that allows us to offer the best service around. Over the years, mother nature can really start deteriorate the fiberglass mesh on your window screens. 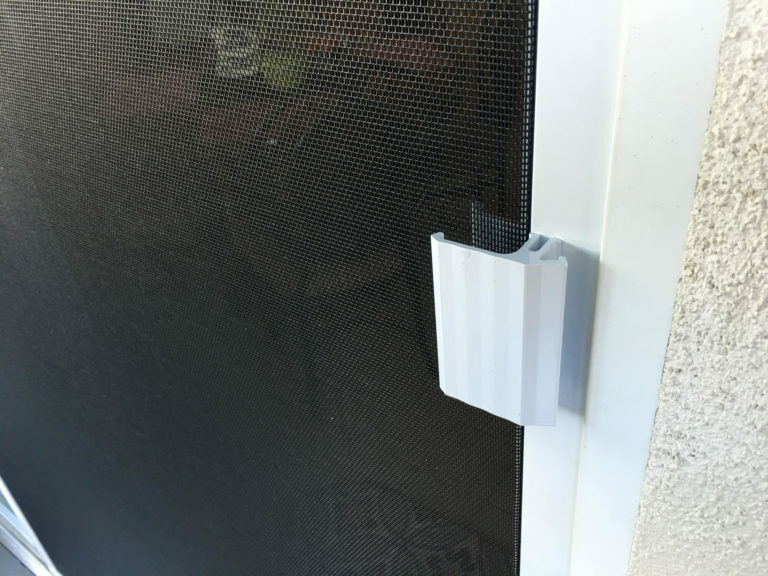 This leaves your window screens looking tattered, and begin forming that will allow bugs and other unwanted critters inside. Don’t let old window screens stop you from opening up your windows for that awesome afternoon breeze. We offer a wide range of fabric choices, from insect mesh to pet mesh, and even solar mesh. We can re-mesh your existing window screens, or if you have bent or missing frames we can custom build new ones just for your home. Don’t be fooled, we use the best quality material and offer a far better product than most. Is your home looking and feeling a little run down? From house washing to concrete cleaning, our pressure washing services will help bring back your homes curb appeal. Dirt and grime builds up on all types of surfaces including stucco, concrete, vinyl, you name it. We can help clean up your home and help make it look like new again! It’s a perfect service to pair up window our residential window cleaning service. We can clean up your homes exterior before perfectly cleaning your windows and bringing back that amazing shine that feels so great! Don’t let the cob-webs and dirt build up on your home, give us a call today! Pressure washing in Temecula is perfectly performed by our awesome team.